Today is day two of my spontaneous trip to Disneyland and today’s park is California Adventure. I wanted to be at the park when it opened but as I already found out the day before that the transit system is not the best. It took me about 2 hours to get to Disneyland. Thankfully there was a lovely girl that helped me with all my transfers since I really had no idea which buses I had to be taking. 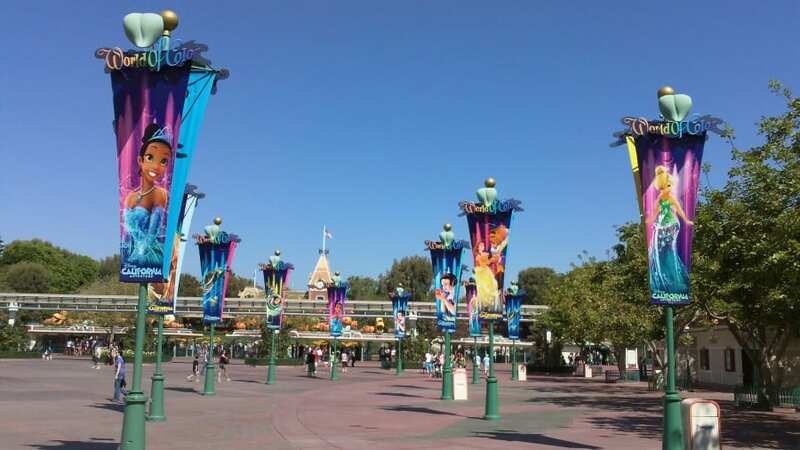 Looking at the Banners at both Park Entrances. After being finally arriving at California Adventure at around 11:30am I was ready to start my solo day! 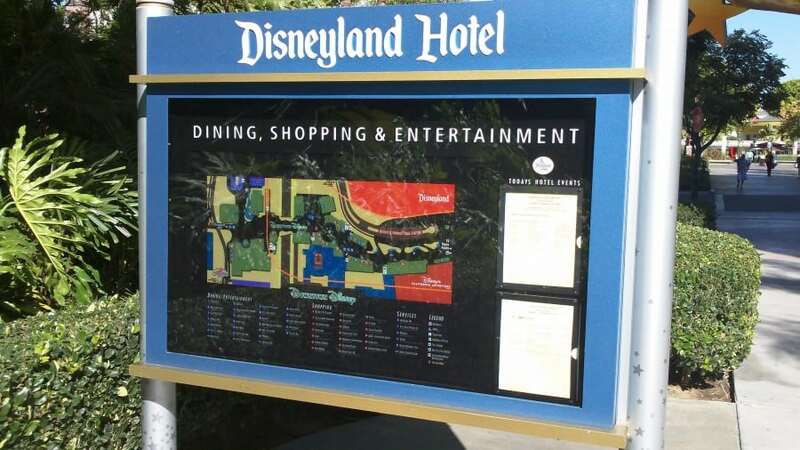 I grabbed a map and started making my way around the park. Yes I took a photo of a Garbage Can. The first attraction I came to was Soarin’ so I grabbed a Fast Pass just so I could ride something after I walked around the entire park. When I passed Grizzly River Run it was closed for some reason. It was alright since I didn’t really feel like getting soaked today. I got into line for Mulholland Madness but my bad luck continued into today. 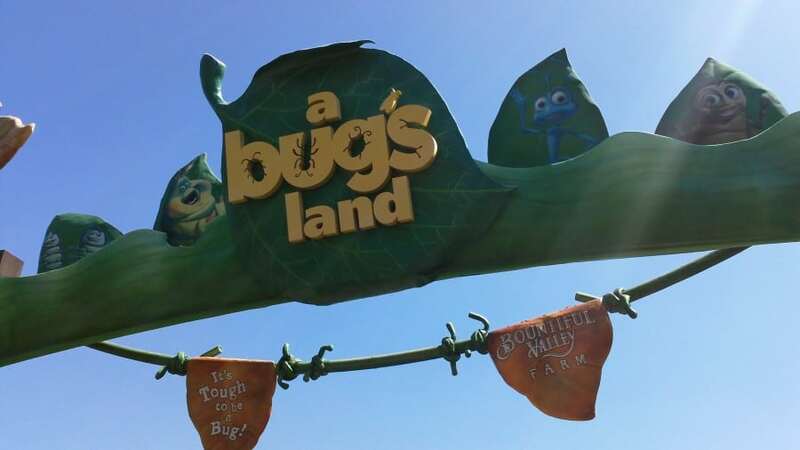 The attraction had some technical issues and they had to get all the stuck guests off the attraction. They asked us to come back later in the day. 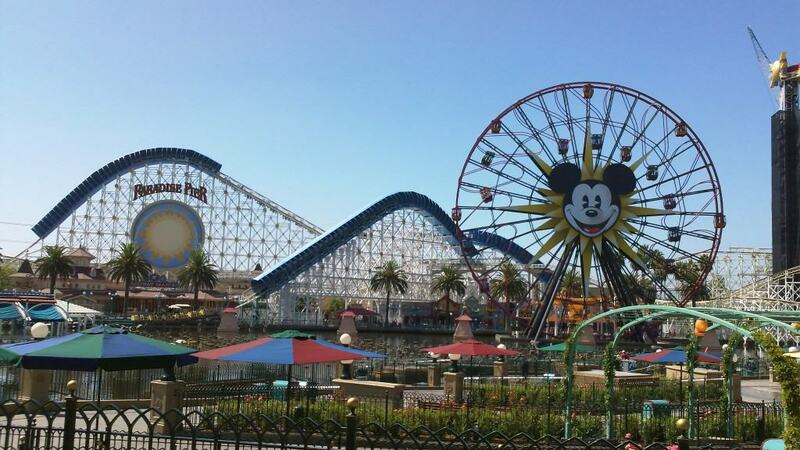 So I walked around Paradise Pier some more and picked up a Fast Pass for California Screamin’. Sadly the attraction is now closed and being re-themed into another similar attraction. 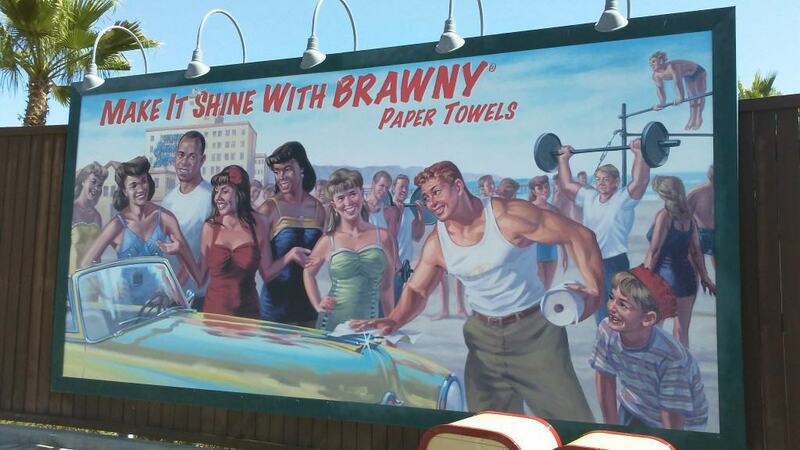 I too wash my car with Brawny. Boards that cover the construction happening. 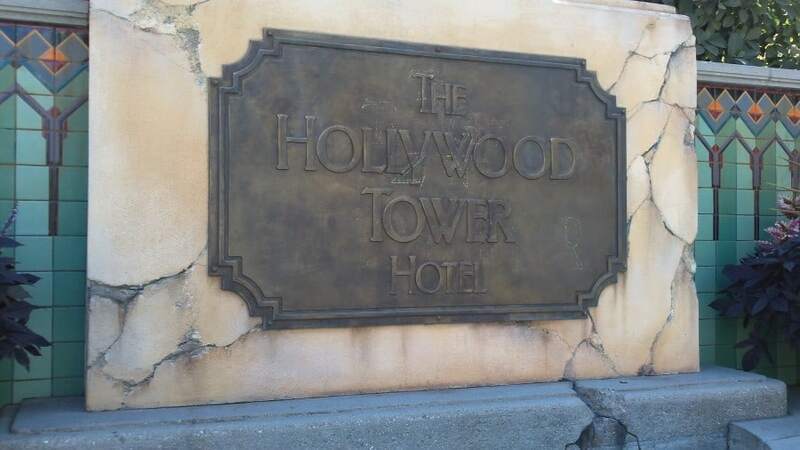 Walked through A Bug’s Land and walked past the Hollywood Tower of Terror. I wasn’t in the mood for dropping so I skipped that attraction. Also I like to have someone I know sitting beside me so I can grab onto something when you drop. Since I was alone I didn’t want to grab a stranger beside me. 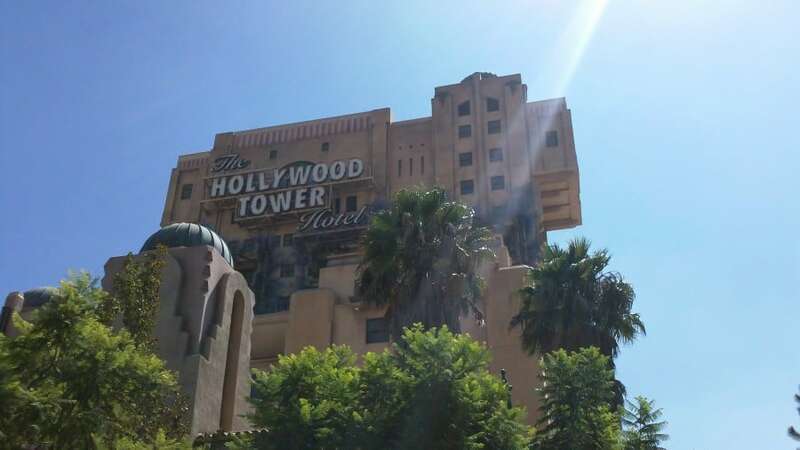 Hollywood Tower of Terror isn’t so scary in the middle of the day. After that I checked out Monsters, Inc. 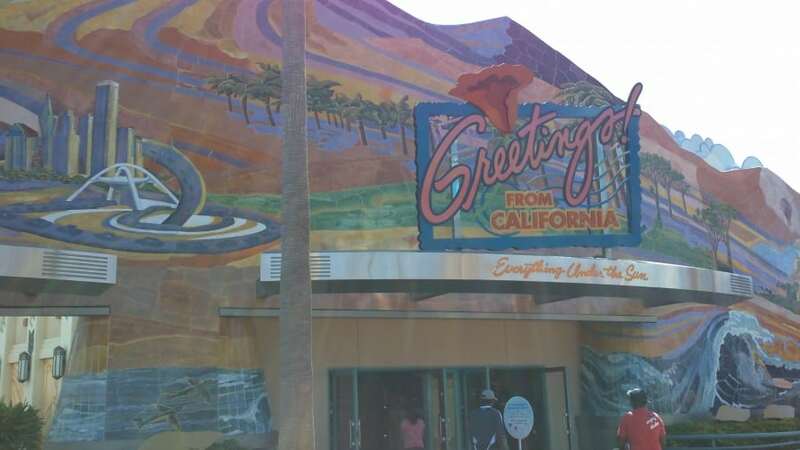 Since a lot of California Adventure is under construction with the new Cars Land and refurbishments of other attractions it was a bit limited on what I could do. 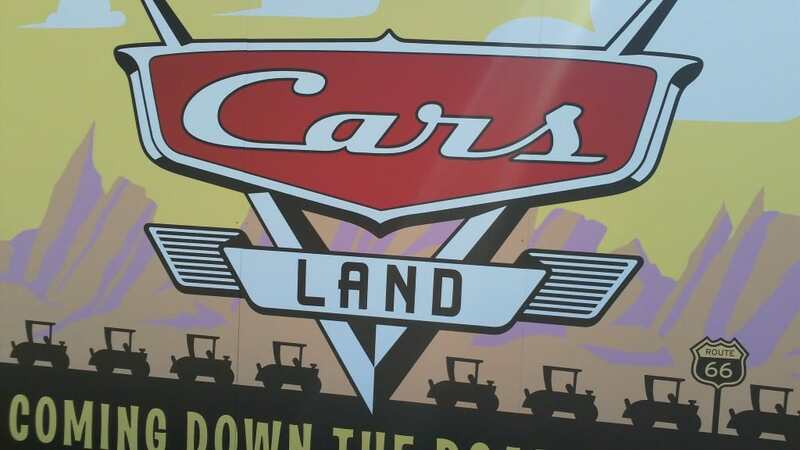 Cars Land Coming in 2012! Soarin’ was a lot of fun! I enjoyed it very much in Walt Disney World and I’m glad I got to do it here too. 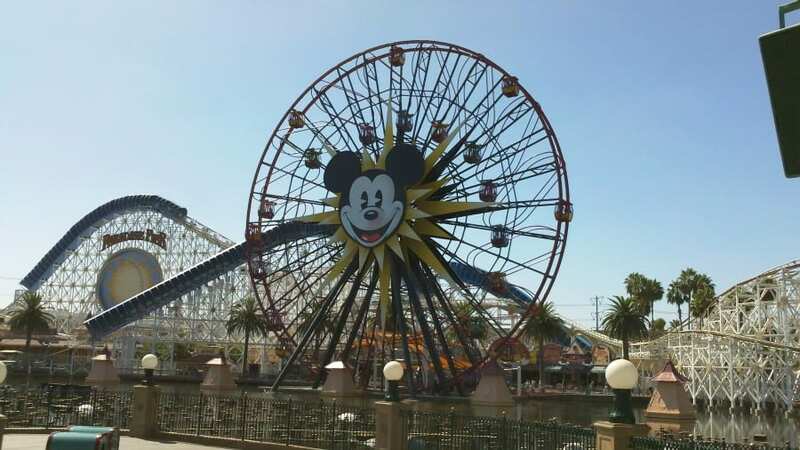 After that I wanted to check out Mickey’s Fun Wheel since from what I saw it looked like a lot of fun! Waiting to get onto the Fun Wheel was far from boring. There were a lot of Japanese Tourist there and the girls were screaming their heads off when the cart would sway back and forth. I found it very amusing. I grabbed some video while on the Fun Wheel and took another video from Paradise Park so you can see how it works! I shared my carriage with a nice couple who were having just as much fun as I was. They looked like they were in their mid 30s. I love how anyone of any age can enjoy Disney! 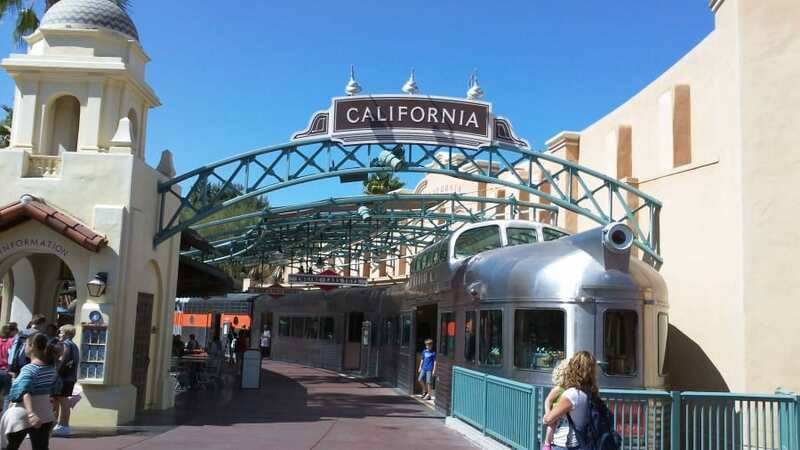 After the world stopped spinning due to the Fun Wheel I worked up the courage to head on over to California Screamin’. When I walked up you can guess what happened next. 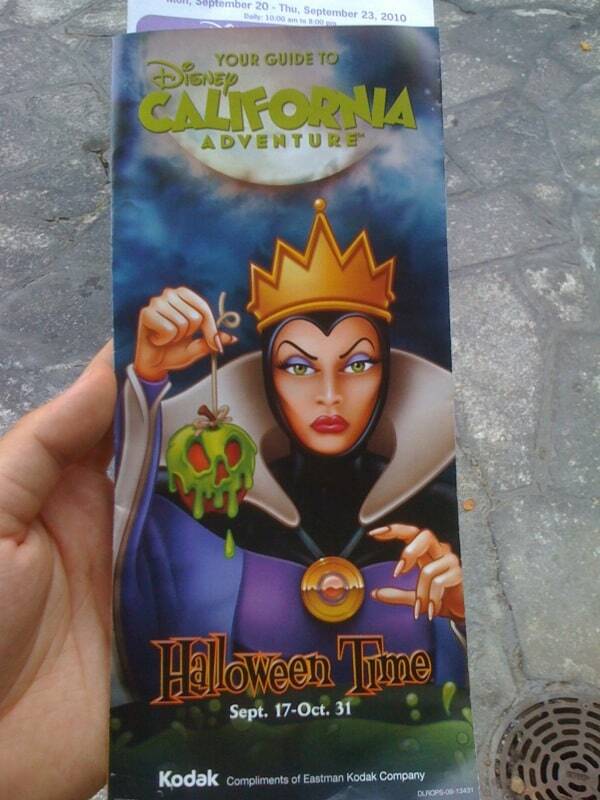 It was closed due to technical difficulties and there were people stuck on the attraction. At this point I was a bit tired of getting to an attraction and seeing it closed, but again there’s not much I can do about it. I figured I’d return later in the day and hopefully it would be open then. I walked around the park a couple more times taking photos and just taking it all in! I bought myself a couple of pins and even got my mother some pins to kick start her collection! 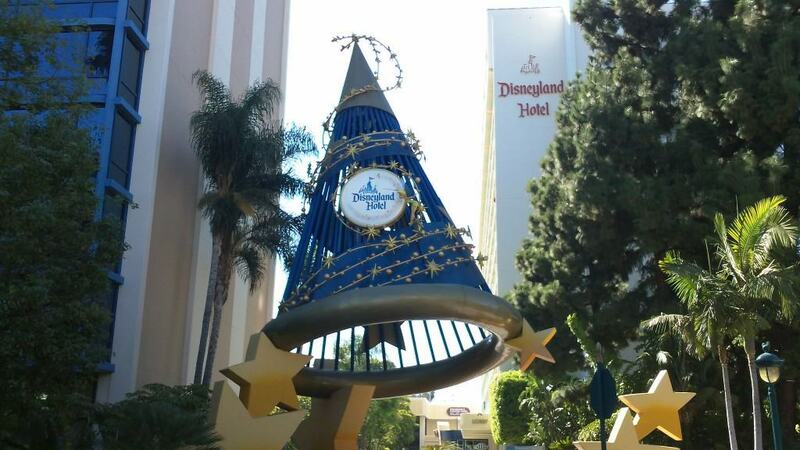 Mickey’s Hat at the Disneyland Resort! The Pixar Play Parade wasn’t until later in the day so I decided to head to Downtown Disney and check out the hotel. 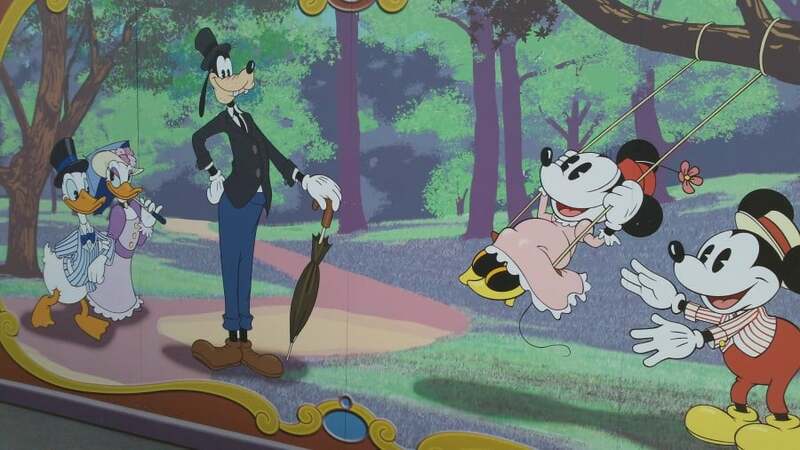 I walked around and I didn’t notice right away but Goofy was walking around the resort acting like he was a guest. 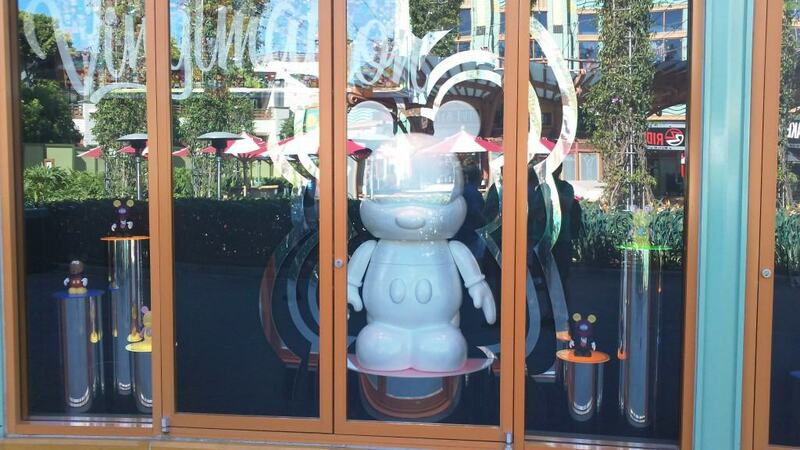 He was sitting in chairs, getting up and looking at various things on the wall, and playing around with the DVC Kiosks. It was hilarious! Then a little girl saw him and screamed and ran up to him. I just loved the way he was acting and randomly walking around the resort. Sadly I didn’t get any photos I was too busy watching Goofy doing what he does best. When Goofy took off to the pool (I couldn’t follow) I headed into Disneyland to try and get on the Haunted Mansion and Space Mountain one last time! I grabbed a Fast Pass for Space Mountain and walked to the Haunted Mansion. Again my bad luck continued….it was temporarily closed! I walked around the park a few times checking out the various gift shops and had some food at The Golden Horseshoe. 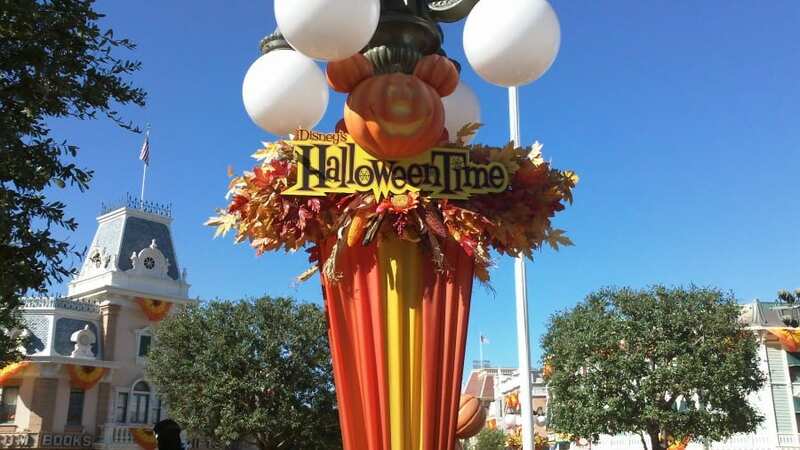 The characters were running about the park and a few were at the entrance to Disneyland on Main Street USA. Chip was there dressed as a Police Officer and handcuffing people, it was incredibly cute! Pluto, Mickey, and Minnie were there too dressed up in their Halloween costumes. Once that was finished I headed on over to California Screamin’ to see if it was operating again and it wasn’t, so sadly I never got to ride it. 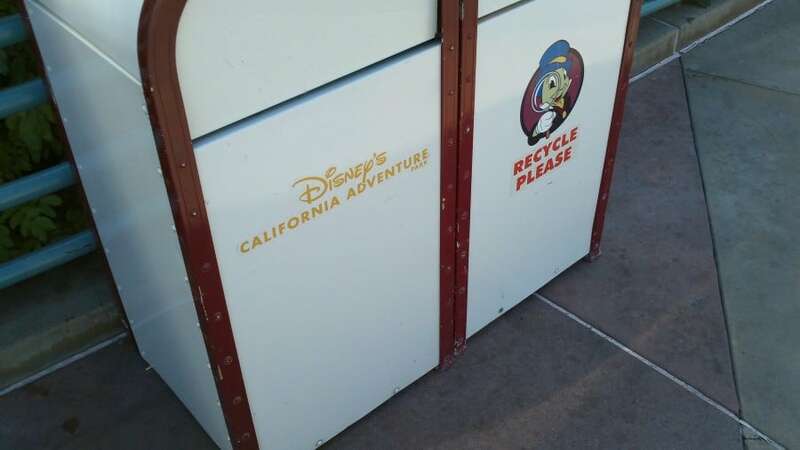 I checked out the Redwood Creek Challenge Trail. It has rope bridges and small zip lines and rock climbing for families. There was a small cave where you go and place your hand on the rock and it shows you which animal you connect with the most. 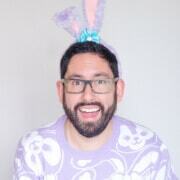 This is what mine was…. It was getting closer for me to leave so I can catch the last shuttle bus from the resort. I quickly headed back to Disneyland and used my Fast Pass on Space Mountain one last time! After that I ran to the Haunted Mansion but the wait time was 40 mins and it was already 7:15 and I had to catch the shuttle at 8pm. I didn’t want to chance getting stuck there and having to find an alternate way back. It was another successful and fun filled day! The trip was a major success and I enjoyed myself quite a bit. 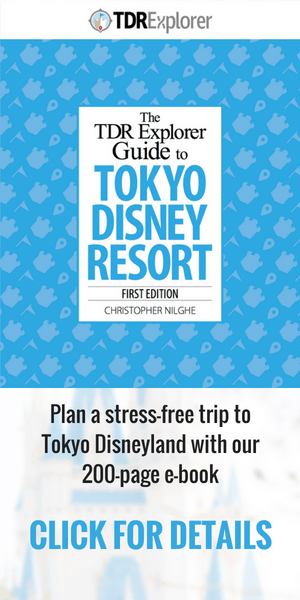 It was one of the best ideas I’ve had (since visiting the other Disney Parks). Now that I have visited 3/5 Resorts I’ll have to see about going to Hong Kong and Paris in the future! My favorite attraction this trip was hands down the Haunted Mansion Holiday and second place went to Space Mountain Ghost Galaxy. 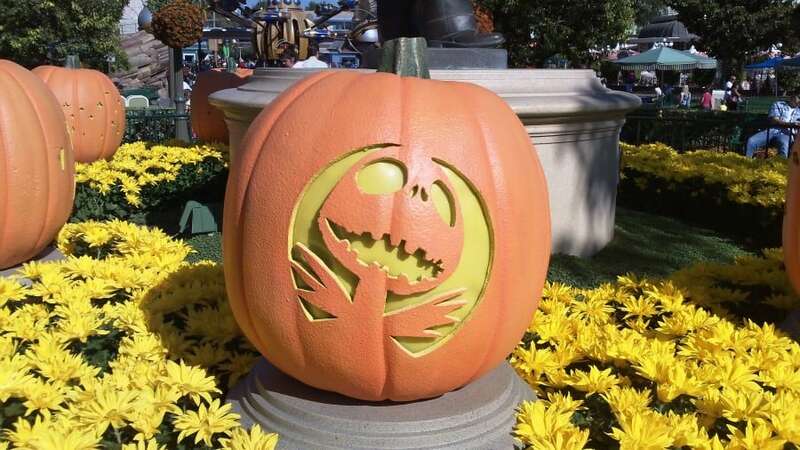 Whole new meaning to the Pumpkin King! 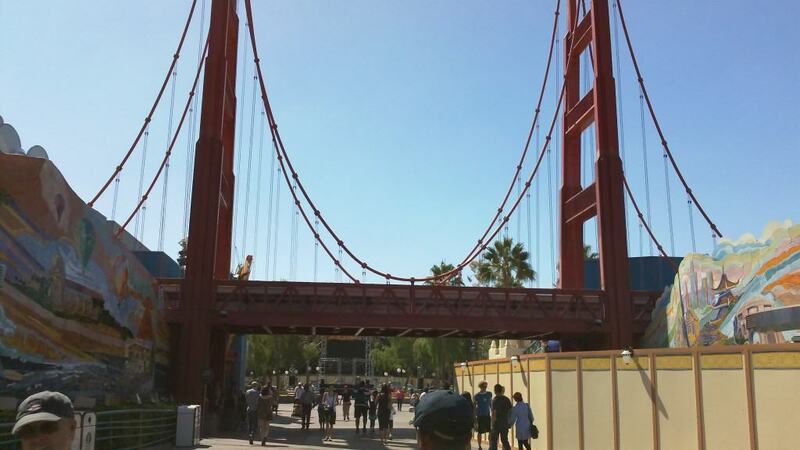 It was a bummer that so many attractions were having technical difficulties but that’s just how it goes. 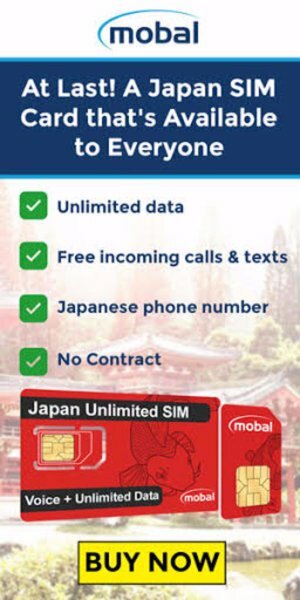 While it was annoying and sometimes disappointing it didn’t hinder my experience! It was still Disney and I loved each and every magical minute. Seeing as how affordable this trip was I could easily do another weekend in the near future. Maybe a visit during Christmas time? Who knows! Hope you all enjoyed my Trip Report! If you haven’t already go and check my out my past trips!